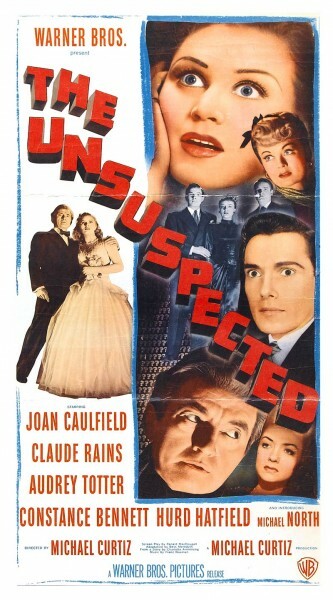 Kennington Noir presents The Unsuspected (1947), directed by Michael Curtiz and starring Claude Rains, Joan Caulfield and Audrey Totter. 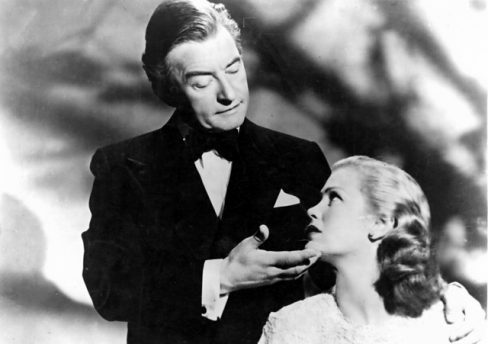 Directed in grand expressionist style by Michael Curtiz, this lesser-seen noir melodrama stars the great Claude Rains as a suave radio show host whose wealthy niece mysteriously disappears…. for a while. With splendidly moody cinematography, and a star turn from Audrey Totter (The Postman Always Rings Twice (1946), The Set Up (1949), etc). 16mm film presentation. Plus supporting programme and an introduction from film critic and historian Adam Feinstein – a specialist in the life and work of director Michael Curtiz. Doors open at 19.00, for a 19.30 start. Advance tickets may be purchased from Billetto, or direct from the Museum by calling 020 7840 2200 in office hours.